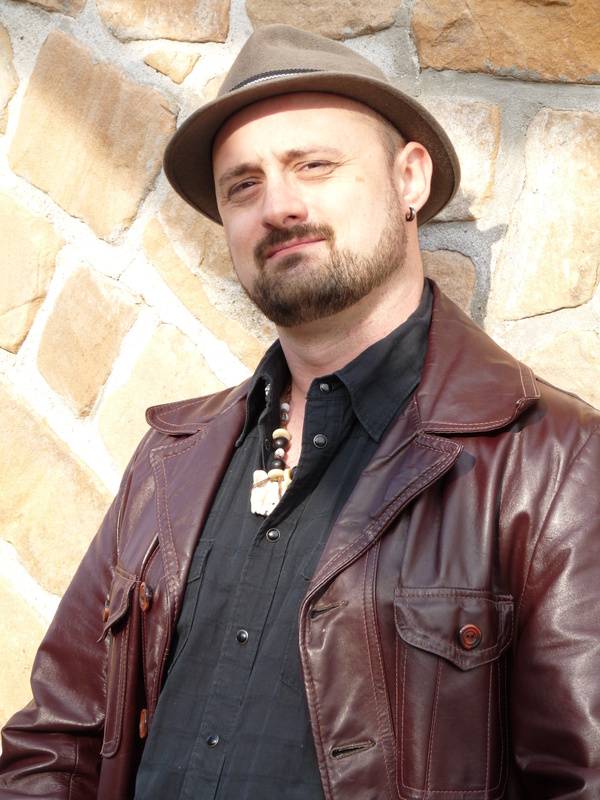 If memory serves, I first met Chadwick Ginther at the When Words Collide festival in Calgary, where we chatted in the atrium bar. It’s possible we bumped into each other at World Fantasy or Pure Speculation before that, and we’ve run into each other at cons and readings ever since. 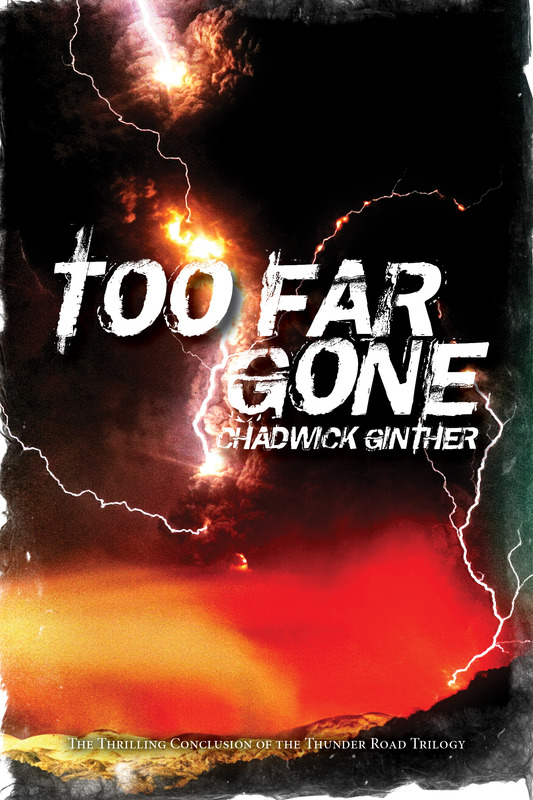 You meet a lot of folks who are “working on a novel” at conventions, but Chadwick’s Thunder Road soon materialized, grew with the sequel Tombstone Blues, and concludes this month with Too Far Gone. Since we first met, you’ve published your first book and two sequels, completing a trilogy. How has your writing life changed in that time? Do you outline differently (or at all)? Is your daily routine evolving? Well I’m still working a day job so that part, hasn’t changed. I did, however, change day jobs which forced a complete change in my daily writing routine. Replacing a five minute walk to work with a forty-five minute bus ride definitely left me scavenging for more writing time. I wrote books one and two of the Thunder Road trilogy back to back, and then waited to draft book three until I’d sold the series, so in the intervening couple of years, being published had also brought with it more of a need for a social media presence, so I found the business side of writing also eating into my writing time. Too Far Gone was written (at least in first draft) longhand in notebooks during my bus rides to and from work, and on my coffee and lunch breaks. There was no conscious decision to avoid the keyboard, but that was how the book was coming out, and so I just rolled with it. Transcribing also gave me a free editing pass! My daily routine is still evolving even though the new day job is over two years old at this point. Lately I’d found that coffee and lunch break writing was getting less and less words on the page, so I’ve been dragging myself away from bed an hour or so early for dedicated writing time before I start work. The closest I usually come to outlining is to make a soundtrack for the story consisting of twenty or so songs that capture how I want the book to feel. With Too Far Gone, I did an outline for my second draft, as the first draft was written in very short spurts of between 250-1000 words at time, and in no particular order. I wrote out every scene on index cards and then tried to assemble them into a story after the fact, but it’s not my usual method. 2. Other than your living there, that compelled you to combine Norse mythology with the prairies (and oil fields)? What made them a perfect match? I grew up reading Norse mythology. D’Aulaires’ Book of Norse Myth was a hugely formative book for me. As was TSR’s Legends & Lore resource for Dungeons and Dragons. Those books solidified a love of all mythology, but the Norse stories in particular. Even when I wasn’t writing stories directly influenced by Norse myth, elements of it would creep in around the edges. So when I decided I wanted to write a very Norse story, I went looking for how it could work in Manitoba—I couldn’t afford a trip to any of the Nordic countries, and I wanted it to take place in our world, not an invented one. Manitoba has a huge Icelandic community, and an awareness of that was definitely in the back of my brain when I sat down and started to write Thunder Road–the town Gimli’s name comes right out of mythology, but the more research I did, the more such connections I found. There is a rural municipality of Bifrost in Manitoba, for example. Added in with the local flavor were sasquatch sightings that could be my giants, lake serpent sightings that could be my dragon (or Jormungandur, the Midgard Serpent) and Winnipeg’s notoriously “haunted” downtown. The Alberta connections were a little murkier, but no less important. I knew I wanted my protagonist to be an outsider. It would make it more fun to comment on local attractions through new eyes. My earliest imaginings all had a blue-collar protagonist, because I love combining the magical and the mundane, and I thought there’d be interesting conflict in a very practical, down-to-earth person getting thrown into huge world shaking events. At the time, I had a friend who was working in Northern Alberta and whenever we got together he’d share some stories of his time up north, so Alberta became my go to place to give Ted Callan a home. In my relatively limited travels at the time, I had been to Edmonton, and had really enjoyed my time there. I liked the feel of the city. It also had the added bonus that I had some friends living there who could help me with any details that I’d need. Alberta had some strong Icelandic connections of its own, which I discovered as I started to do my research for book three, so that was a happy coincidence. 3. Many authors have reinterpreted the Nordic gods in recent decades (notably Neil Gaiman in The Sandman and the various writers of the Marvel comics and movies). For those who haven’t seen your books yet, what’s your special take on the characters? What makes your Nordic gods your Nordic gods? There are so many variations on the Nordic stories depending on your source material. I chose to hew as closely as possible to the Icelandic sagas, especially given the Norse connection to my setting. I used to collect Thor comics, and I loved Walt Simonson’s take on the character and the Nine Worlds, but when I started drafting the first two books, there was no inkling that we would ever see a Thor movie. I think Iron Man had been released, but I never would’ve dreamed that the Marvel Cinematic Universe would’ve become as sprawling and as awesome as it is now. Thor has faced Ragnarök probably three or more times in the comics (and has another time coming up in the movies, if the title of his third film has anything to say about it) and while I enjoyed those stories, I loved what came after. I knew the story of Ragnarök, so whatever the writers chose to do after, I had no inkling of where the tales might lead, and I always found the different takes fascinating. That’s why I chose to set my books in a post-Ragnarök world that looks a lot like our world, so most of the gods, Thor, Odin, Freyr, etc. are dead. There are remnants of magic and monsters lurking about (especially in Canada, where we’ve got the room to hide them) held back only by the remnants of the ancient fence Odin built around Midgard (Earth). But no fence is perfect, and once you’re exposed to magic, you become a part of the Nine Worlds. Usually you don’t live too long after that and so the secret world of magic and monsters stays mostly secret. In setting the books post-Ragnarök, all of the stories the fan of Norse myth already knows have happened. I’m not changing or taking away anything that they loved, but hopefully given them something different but of a similar flavor. My big cheat was keeping Loki alive, but Loki’s a big cheat himself, and I figured if there was anyone who could wriggle off the hook of his doom, it would be him. 4. Music and song titles are obviously a big inspiration on your story. How much of that is likely to carry over into other novels by you? And are these the songs you’re listening to while writing? Music is a huge inspiration to me, even if I’ve got a terrible singing voice, and never got much past four chord blues progressions while trying to learn to play guitar. I always listen to music while I write. The chapter titles are necessarily what is on the story soundtrack I listen to while I write the book, but many of them are. I think there will always be nods to music I like in my fiction, but it might not be as overt as it was in the Thunder Road Trilogy. 5. On that note, what is the Awesome Mix Tape for the trilogy? Keep tabs on Chadwick Ginther at his website.